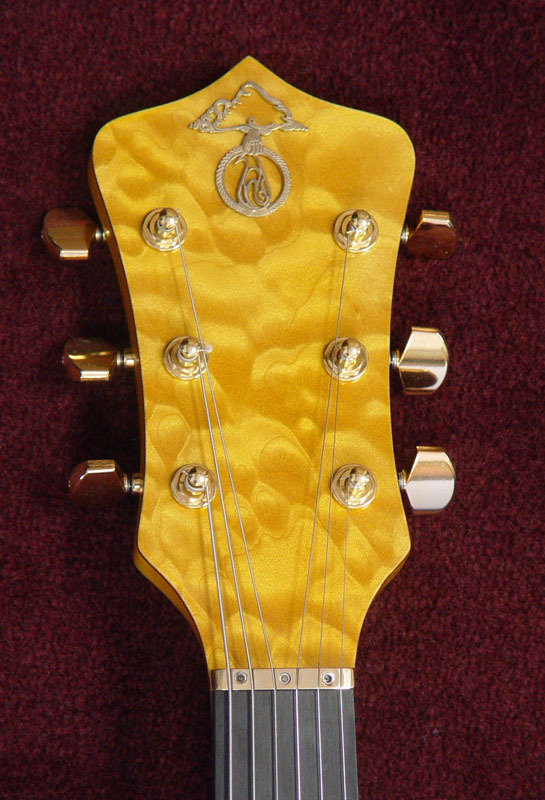 Wavy golden curls wash across the top of this stunning Skylark guitar. The body shape is comfortable to play with it's contoured tummy cut and rounded edge back shaping. 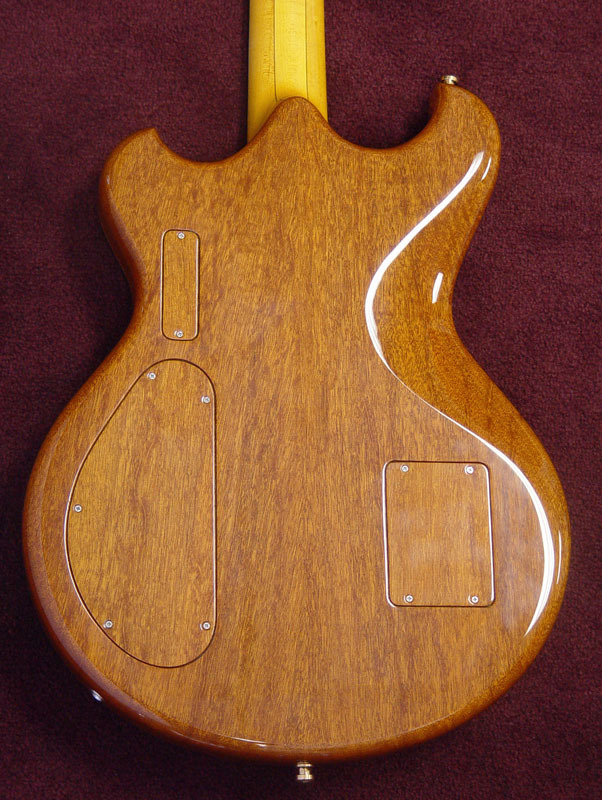 Upper fret access is complete and the neck is fast and easy to play. 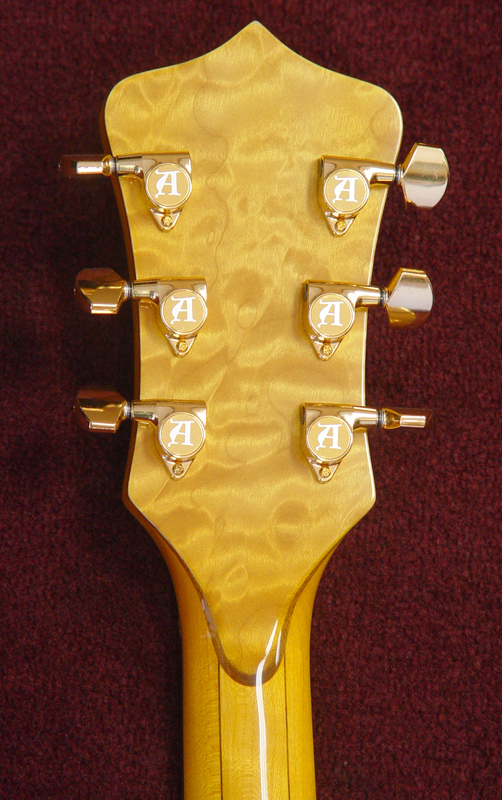 Amber finish enhances the Quilted Maple top. It's a nice, thick chunk, and the contour around the edge reveals the beautiful structure of the wood. 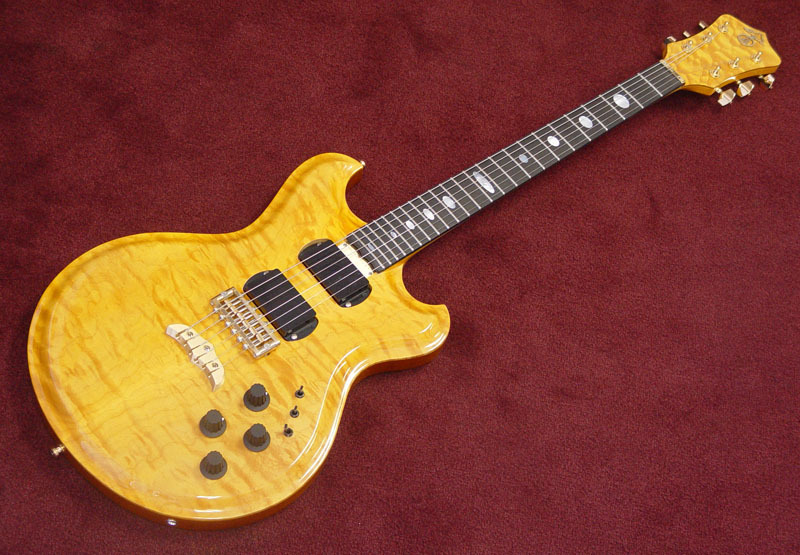 Simple to use with a separate volume and tone control for each pickup the Skylark also includes an off/on/bright switch for each pickup. Inside, a screwdriver adjustable trim pot allows you to determine the amount of brightness when you use the bright setting of the pickup selector switches - and it can be different for each pickup. It's like getting custom electronics any time you want them.